I do small group reading each day. 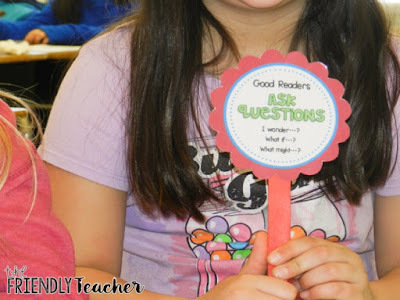 I also do individual reading conferences with each kid every week. That is a lot to get prepared for and planned out! 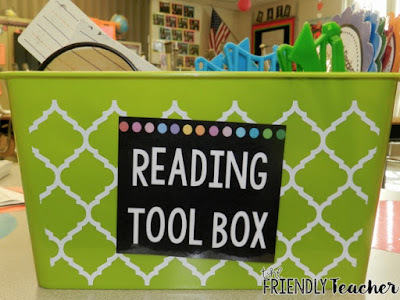 My life saver when it comes to these reading groups is my “Reading Tool Box”! 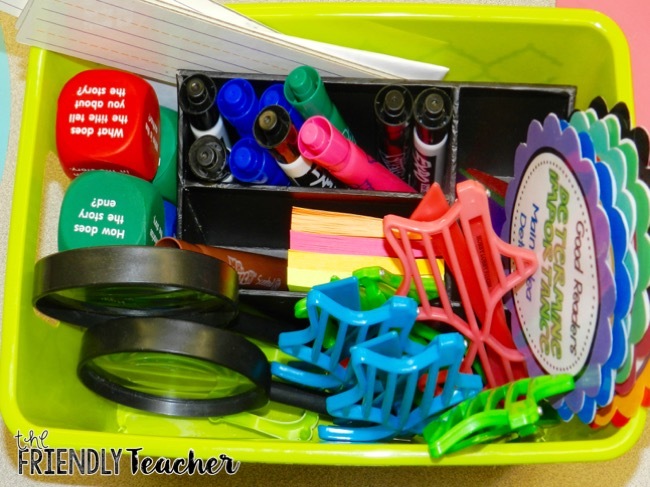 It makes my planning easier, it helps me naturally teach, and the students love when it is out! 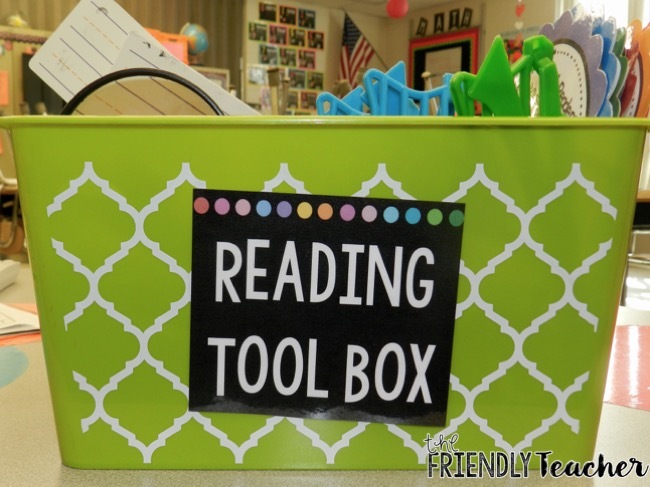 The reading tool box is a box that goes around the room with me and is full of FUN supplies that you can use while reading. The best part is you can take it anywhere in the classroom, you can just grab things quickly, and it is all in one place! 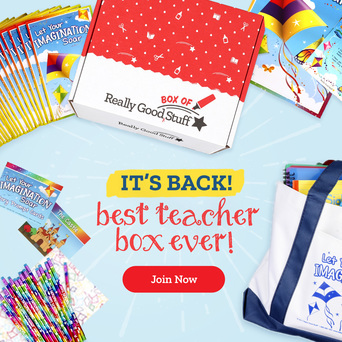 I will share with you what is in my box, but you truly can put ANYTHING that works for you in your box! Post-it notes are a MUST! We love to write what we are thinking, meanings of words, or main idea and detail for each chapter! Dry erase strips from Target make for great word chunking! We use magnifying glasses for “close” reading! They love when I hand them the magnify glass and say dig in! I love to do this when they miss a question or miss a topic that I really want them to understand. The magnifying glass is the superhero that makes 100% sure they get it! Scented markers make for engaging highlighters during close reading! We use Hope Kings reading comprehension strategies every day! All you do is print them off and put them on popsicle sticks. These make for great reminders on what strategies to use while reading! 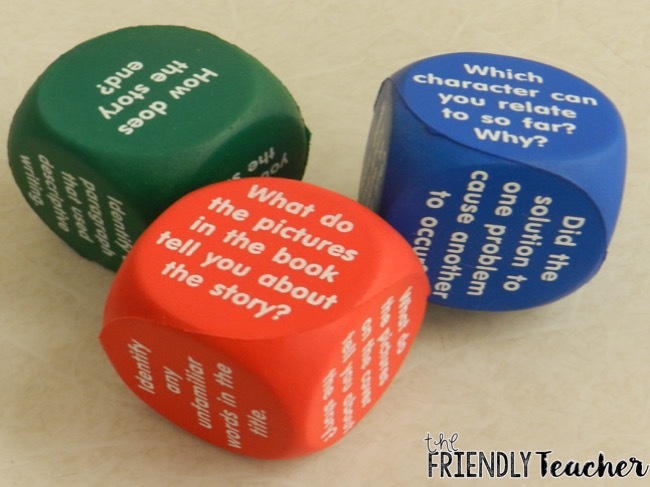 Question cubes make for a great way to end your reading groups and make your kiddos think about their reading! If you want to make it even more fun allow them to throw the cubes around the room and go find their question. They LOVE it! 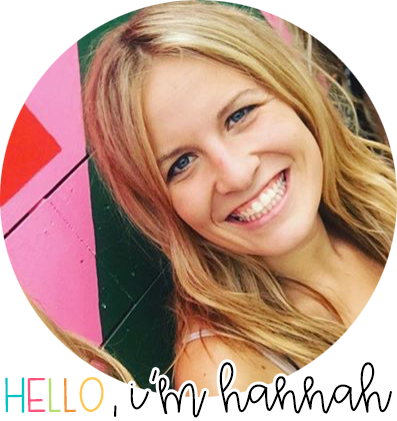 That is all I have for your today! 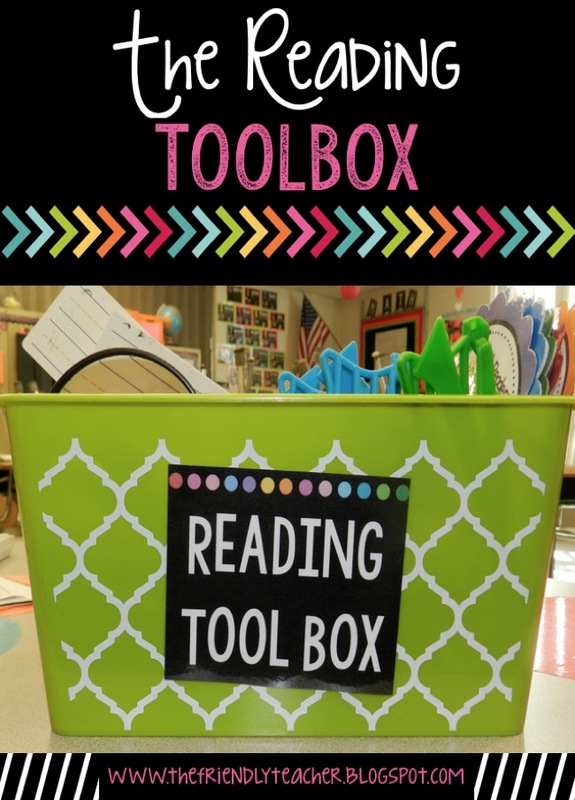 I hope you go out and make an amazing reading tool box, my friends! It is LIFE CHANGING! 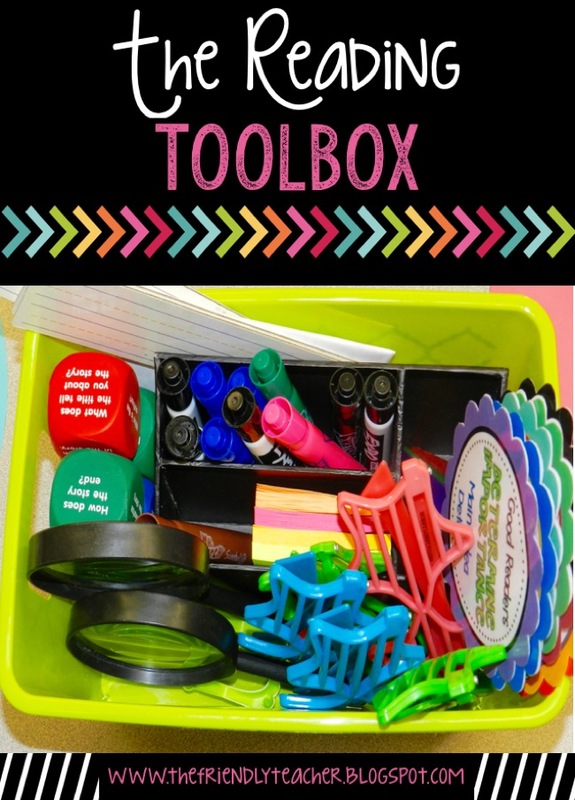 Plus, if you want this cute label grab here on Maria Garvin’s TpT!